Yet another Cult Nails beauty that I'm wearing. 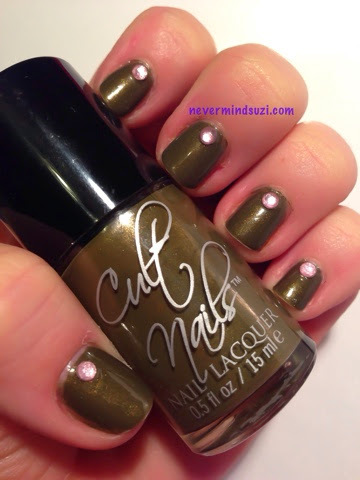 In A Trance is a moss green metallic full of golden shimmer! It was all but opaque in 1 coat, though as usual I wore 2. I've added some pink rhinestones just to add a bit of contrast, but I really think it works.